Florida is a favorite destination if you love sun, fun, and sea. 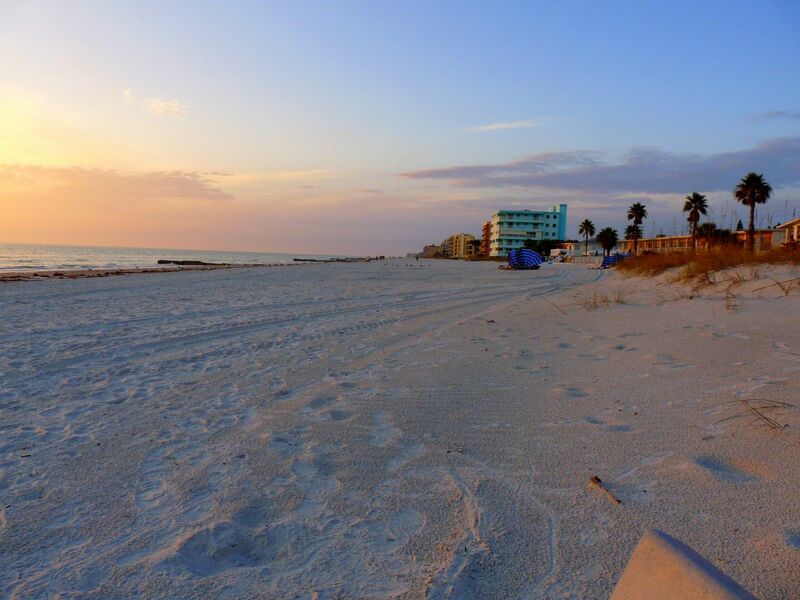 Madeira Beach lays nestled on a small strip of land along on the blue waters of the Gulf of Mexico. Located on a two mile stretch that is primarily residential, Madeira Beach is host to some great fun that is sure to complete a perfect Florida vacation. Known as “Mad Beach” by the locals, here’s list of 10 fun things to do in Madeira Beach that will help you fall madly in love with this great Florida getaway. If you want a lot of fun things to do in Madeira Beach with the convenience of a single location, look no further than John’s Pass Village and Boardwalk. Named for pirate, John Levique, who was said to be the first to make his way through this pass in 1848, John’s Pass was a charming fishing village that has been transformed into Madeira Beach’s #1 tourist attraction. There is no shortage of fun as you can easily spend the whole day discovering the sights and sounds of this fantastic destination. 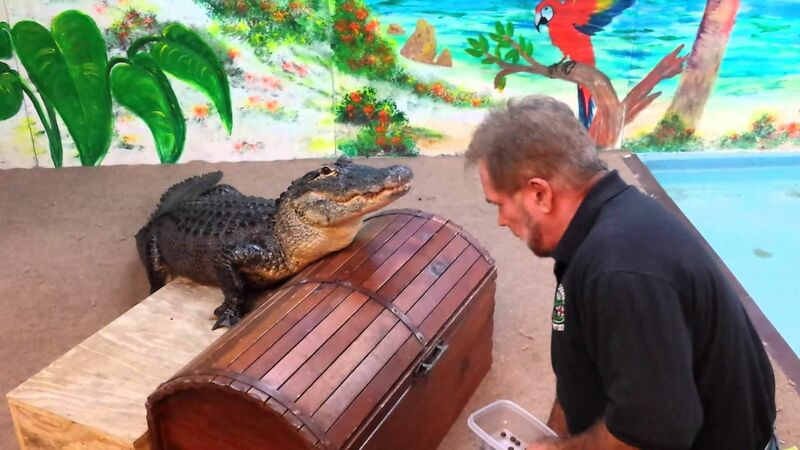 Alligator Attraction is a great stop for families along the boardwalk of John’s Pass. Combining education with a passion for conservation, visitors can wonder at the bright colors of a blue tang, the exotic stripes of a lion fish, and the prehistoric charm of Rudolph the tortoise. While you’re there, don’t miss the chance to kiss a gator and capture a great memory on film. 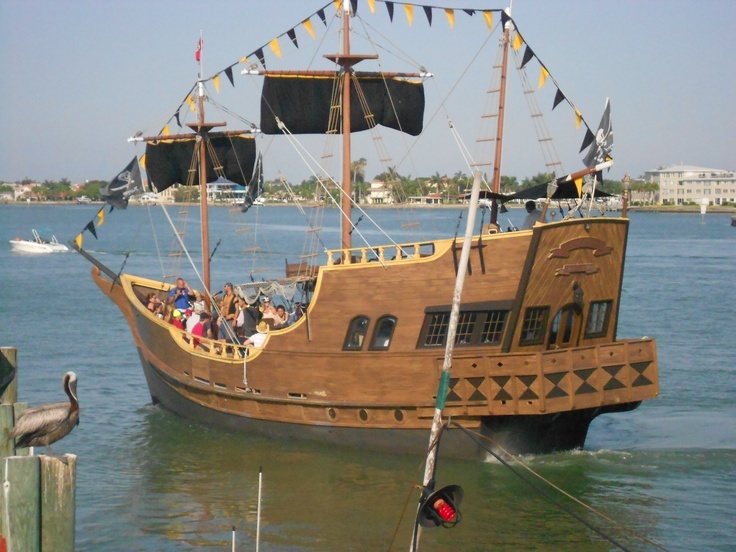 Make the history of John’s Pass come alive, channel your inner pirate, and set sail on a sunset cruise aboard The Pirate Ship Royal Conquest, a 56-foot ship that will transport you to the days of Blackbeard and buried treasure. This two-hour ride promises to be filled with swashbuckling fun and entertainment. If you are looking to give water sports a try, reserve your spot for some wet and wild adventure at Fly-N-High, located along the pier at John’s Pass. Take to the gulf waters solo or with a friend on a high speed waverunner or jet ski. Or if a bird’s eye view is what you want, schedule a time to parasail and enjoy the coastal waters of Mad Beach from 400 feet in the air. Along the boulevard of John’s Pass is a collection of stores and boutiques sure to please every taste. Whether you are in the market for quintessential Florida keepsakes, unique jewelry, handmade leather goods, or being outfitted for the beach, you will find just what you’re looking for. All the activity of the village and boardwalk will certainly work up an appetite. Satisfy your hunger by indulging in the grouper nuggets at The Friendly Fisherman. Enjoy live music while you dine in the open air at Sculley’s Waterfront Restaurant. With over a dozen restaurants, ranging from seafood to pizza to Thai, you are sure to find something for everyone’s tastebuds. Late October brings fall winds, and a three-day festival full of more fun things to do in Madeira Beach. Experience John’s Pass in the crisp autumn air during John’s Pass Seafood Festival and enjoying non-stop music, craft vendors, and great seafood. There are plenty of fun things to do in Madeira Beach, but no Florida vacation is complete without the fun of the sand and surf. Mad Beach offers beach access to the public through the Pinellas County Parks and Preserves Department. You will find ample parking (for a minimal fee), a restroom building, and showers on the beach. Plan a day to soak up the sun under the beautiful, blue Florida sky. Pack a picnic to share under an umbrella you can rent on sight. Dip your toes in the waters of the gulf or collect shells that have washed ashore. After a full day on the white sands of Madeira, enjoy watching the sun as it sets into a sky of pink and orange. Sometimes, fun things to do in Madeira Beach involve tasting the distinct flavors of local eateries. This local hot spot serves a breakfast and lunch menu filled with healthy ingredients that pack a lot of flavor. Designed with a retro flair, start your day off right with a cup of coffee from Sweet Brewnette that is always organic and made with fair trade coffee beans. Pair your cup of joe with a yogurt parfait or an egg, cheese, and ham croissant in the morning. Stop in for lunch and try the garlic buffalo chicken or prime roast beef au jus on Cuban bread. The friendly staff is sure to help you find exactly what you’re craving. A well established, casual restaurant with a neighborhood atmosphere is open for lunch and dinner. Dockside Dave’s are known for their fried fish, but you are welcome to enjoy the catch of the day prepared to your liking, and paired with a side of crispy, waffle fries. A family owned business that is sure to satisfy your sweet tooth, The Candy Kitchen is located in a quaint building with red-striped awnings that is packed with an abundance of deliciousness inside. Choose from nearly 30 flavors of homemade ice cream or indulge in an Italian ice or slice of fudge, also homemade. They also stock the shelves with hard-to-find candies from the decade of your childhood. Whatever you order, you are sure to find it served with a side of fun here. Finding your way to all the fun things to do in Madeira Beach is easy. Conveniently located on the western coast of Florida, Madeira Beach is only a 35 minute drive from Tampa’s International Airport along I-275. If you are staying in the Clearwater area, all the fun of Madeira Beach lay 12 miles south along a scenic drive on Gulf Boulevard. Madeira Beach promises to become a favorite destination for fun. Whether you choose to stay locally or make it a day trip, there is no shortage of fun things to do in Madeira Beach. People of all ages can make unforgettable and delicious memories in Madeira Beach. Make your way here and fall madly in love with all the fun “Mad Beach” has to offer.